Looking to buy Cello Lifestyle 1000 ml Flask ? Flipkart is selling Cello Lifestyle 1000 ml Flask (Pack of 1, Silver) at Rs 599. SO, hurry up!! 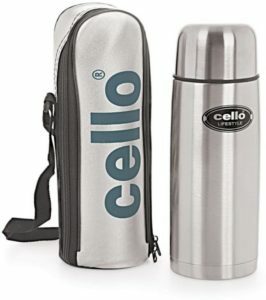 How to Buy Cello Lifestyle 1000 ml Flask (Pack of 1, Silver) at Rs 599?